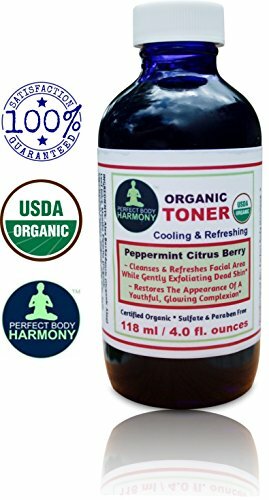 Home / Face / Toners & Astringents / CERTIFIED ORGANIC Facial TONER, Cooling, Refreshing, Mildly Scented Peppermint Citrus Berry for Cleansing & Exfoliating! * 4.0 oz BLUE Glass Bottle * Sulfate & Paraben Free! * Buy It! LOVE IT! CERTIFIED ORGANIC Facial TONER, Cooling, Refreshing, Mildly Scented Peppermint Citrus Berry for Cleansing & Exfoliating! * 4.0 oz BLUE Glass Bottle * Sulfate & Paraben Free! * Buy It! LOVE IT! 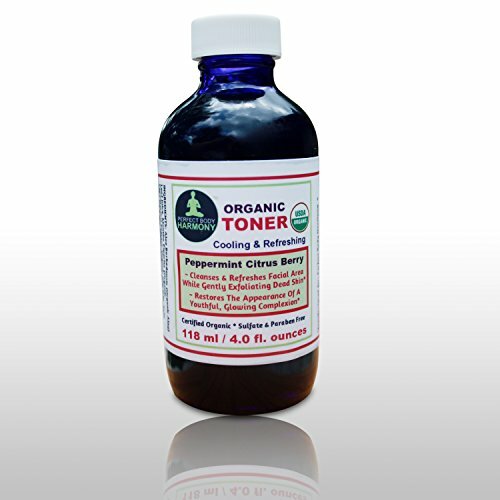 Licensed Natural Premium FACIAL TONER from Excellent Physique HarmonyTM Cooling & Refreshing Peppermint Citrus Berry • Excellent for all skin varieties such as blemish and sensitive prone skin! * • Loaded With Premium Botanical Substances Every With Unique Properties! * • Adore the come to feel of your skin when you make this your facial cleanser! 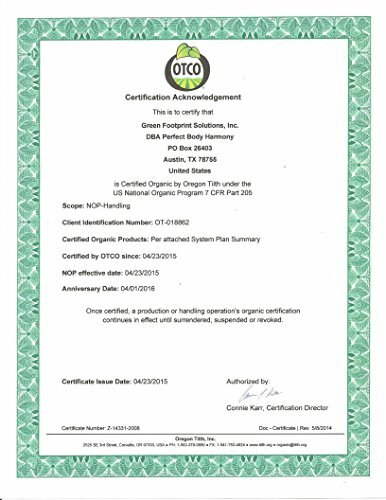 • Certified Natural by Oregon Tilth! √ Restores The Physical appearance Of A Youthful Glowing Complexion To Your Encounter & Neck! * √ Cleanses & Refreshes Facial Region Whilst Gently Exfoliating Dead Skin! * √ Adds nutritional vitamins, minerals, & antioxidants to your facial skin generating it truly feel softer than ever! * √ Gentle but powerful TONER with Premium Botanical & certified organic organic components! Have a Wonderful Cleansing, Exfoliating, Cooling & Refreshing Facial Experience Morning & Evenings! √ SULFATE & PARABEN Free of charge! • NO Animal Testing! • No Animal Elements Used As Substances! √ four. OUNCE BLUE GLASS BOTTLE Assuring No BPA or other chemical compounds from plastic leach into your toner! Buy Now with self-confidence with our thirty Day No Queries Asked Consumer Happiness Guarantee! Include to Cart & Purchase NOW although this wonderful cleanser is in stock (supplies are really limited!) *These statements have not been evaluated by the FDA. This item is not meant to diagnose, treat, remedy, or prevent any illness. *LIMITED TIME SPECIAL PRICE! 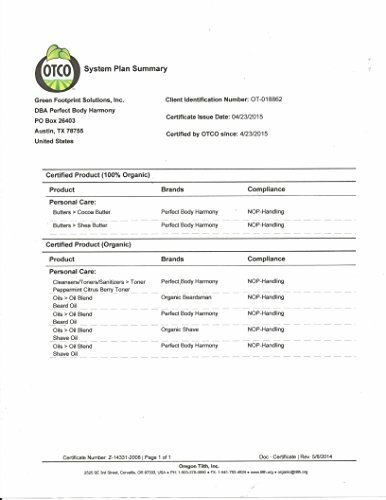 * ~ Certified Organic Facial Toner / Cooling & Refreshing Peppermint Citrus Berry * Certified Organic * Sulfate & Paraben Free! * No Animal Testing! ~ Experience This Mildly Scented Premium CERTIFIED Organic Facial TONER & The Wonderful Cleansing, Exfoliating, Cooling & Refreshing Facial Experience When Applied! ~ 4.0 fl oz in a BLUE Glass Bottle * From Perfect Body Harmony Brand * Satisfaction Guaranteed!